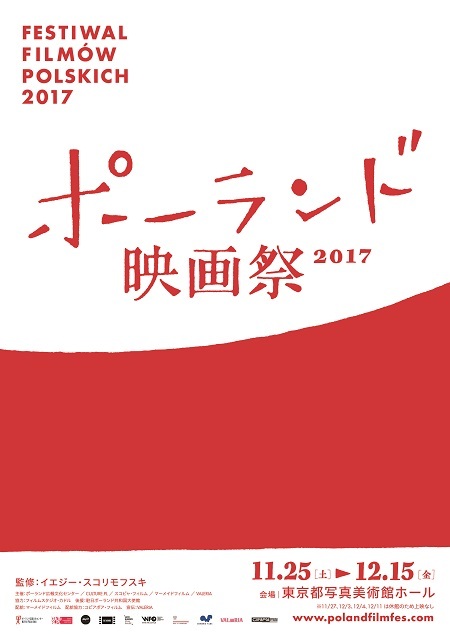 The Polish Film Festival in Japan marks its 6th anniversary this year. We will present the carefully selected works of notable Polish films, ranging from the classic masterpieces that have been affecting film works in the world, newly discovered and heretofore unknown great works, to the latest works of young directors who will lead the next generation. Together with many of the masterpieces of Andrzej Wajda and Jerzy Kawalerowicz, the directors who established the “Polish Film School” in the history of film, the actor Zbigniew Cybulski, and of Jerzy Skolimowski, who – not limiting his ground to Poland – keeps enthusiastically creating films in European countries and surprising us with his new works, we will introduce the works of young directors who have been brought up under their influence. Such noteworthy works as the precious documentary films about the writer Stanisław Lem and the painter Zdzisław Beksiński, each being one of the greatest figures of Poland, meet together as well. We wish you to fully enjoy the world of Polish films that continues its vibrant process of evolution. “Deep End” ©2011 Bavaria Media.All rights reserved.